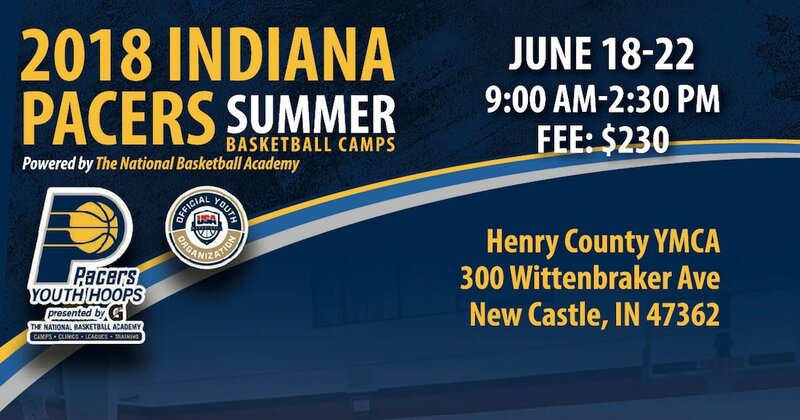 The 2018 Indiana Pacers Summer Basketball Camp is back at the Henry County YMCA! Join us on June 18th to work on your game and experience all the fun and excitement of an NBA team. And a ticket to a Pacers home game during the 2018-19 season! Open to boys and girls ages 7-17. All skill levels welcome!